[Sgt. Mennen] Suleiman, and the rest of the Marines from Kilo Company, many of whom served in Afghanistan last year, have battled the insurgency with a fierceness that only highly-trained infantrymen can bring to the battlefield. 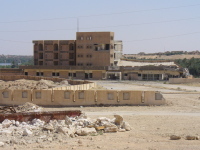 During a regular patrol earlier this month, several Marines observed a handful of insurgents armed with automatic rifles and rocket-propelled grenades, scurry into an abandoned hotel in the city – a hotel which once served as a vacation spot for Hussein before he was ousted from power in 2003. The Marines decided to take action. 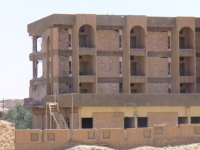 The plan was simple: the Marines would cordon off the hotel and then raid it to apprehend the insurgents, according to Gunnery Sgt. Jim Lanham, 36, the unit’s company gunnery sergeant. Before they cordoned the building off, they received small-arms fire from within the hotel. 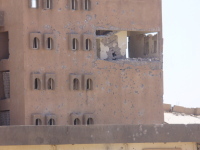 The Marines held their ground and returned fire into the hotel’s shattered windows. 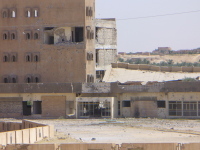 Meanwhile, military aircraft partially destroyed the hotel with precision munitions. The Marines suffered no casualties. 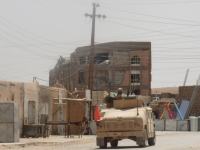 “This is what will happen when insurgents try to fight Kilo Company toe-to-toe,” said 1st Sgt. Vincent Santiago, 35, the company’s senior enlisted advisor. 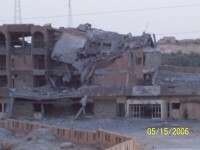 HAQLINIYAH (MAY 2006) – Lt. John C. Burke, 25, born in Foxboro, living in Boston, commander of the 3rd Platoon, Kilo Co., 3-3 Marines, was in the house when the bomb hit. 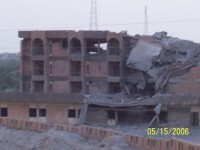 Looking at a video shot from a small digital camera, Burke described the blast: “This is the rooftop we’re on. See all the shell casings? Then ‘Blam,’ blackness. There were 13 Marines there. 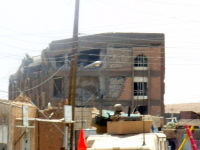 Myself and three others were on the roof, six were inside and three on the outside, and at least eight Iraqis. “It was three sensations all at once: I heard the noise, felt the overpressure , saw basically darkness. “One child has a laceration above the right eye, turned out it was nothing a couple of band-aids couldn’t fix, but we called for a Priority 1 medevac. “I didn’t know if everyone was all right. It took about 30 seconds to figure it out then another few seconds to get on the radio. “It was an accident. No one was seriously hurt. The Marines didn’t let the bomb make them lose focus on the mission. It was a good learning experience,” Lt. Burke said. That ended the day’s aerial bombardment. 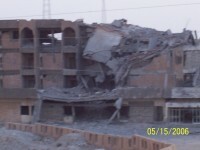 Next day, it resumed and over the course of the following week the derelict building was leveled. Maj. James F. Kendall, 37, of Nashua, N.H., fire support coordinator, said that between May 11, when Sgt. 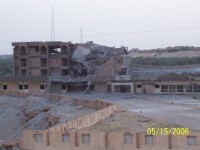 Anders’ patrol was attacked, and May 18, when the former hotel was leveled, at least 16 aerial weapons were dropped. These included seven 500-pound bombs, five hellfire missiles, two TOW missiles and two 2,000-pound bombs, some guided by laser beams, others by programmed coordinates, others through thin wires. “We were able to come up with a weaponry solution to drop the building without collateral damage and without endangering Marines,” Maj. Kendall said. “The hotel has been a problem for a long time. It was a known insurgent location, and having bad guys in the building was a good opportunity for us. PsyOps (psychological operations) did make surrender appeals, but they were ignored. Battalion urged the mayor to talk with the insurgents, to surrender. He couldn’t go near the place, it was rigged to blow up,” Maj. Kendall said. Kevin Dool. 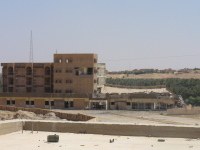 Haqlaniyah, Iraq. 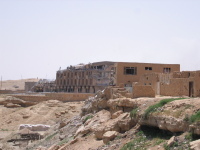 May 2006. 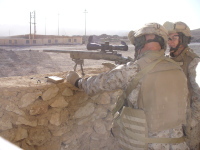 Gunnery Sergeant Jim Lanham (L), Kilo Company. 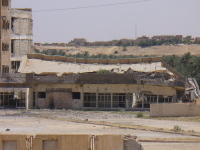 Haqlaniyah, Iraq. 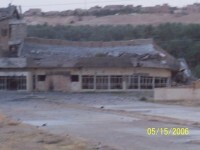 May 2006. A fixed-wing aircraft hits the house Third Platoon is in. Third Platoon receives a near miss. 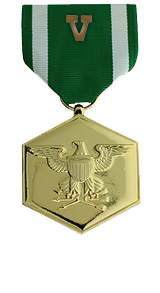 Heroic achievement while serving as 1st Team Leader, 2d Squad, 3d Platoon, Company K, 3d Battalion, 3d Marines, Regimental Combat Team-7, I Marine Expeditionary Force Forward, on 11 May 2006, in support of Operation IRAQI FREEDOM. 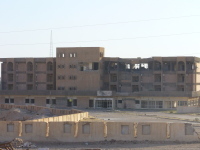 On this day, Corporal Dool effectively led his fire team during the reinforcement of an adjacent unit who was in a direct fire engagement with the enemy at an abandoned hotel in Haqlaniyah, Iraq. Upon arrival, he immediately established his team’s position in the cordon, denying the enemy the ability to egress. Once his team received enemy fire, he exposed himself to the enemy in order to direct his Marines during the engagement, ensuring they established a safe sector of fire. He also sent timely and accurate reports to his squad leader and the platoon commander, conveying essential situational updates and battle damage assessment. 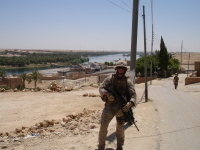 Corporal Dool demonstrated his unmatched ability to lead his Marines throughout an intense and chaotic environment. 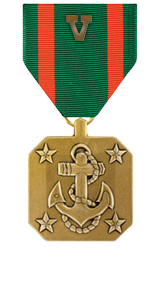 Corporal Dool’s initiative, perseverance, and total dedication to duty reflected credit upon him and were in keeping with the highest traditions of the Marine Corps and the United States Naval Service.